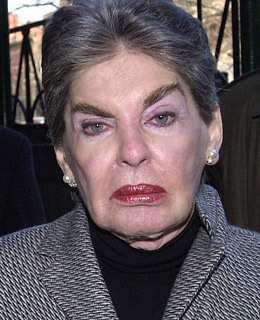 Leona Helmsley will always be remembered for one of the most arrogant statements ever uttered: "We don't pay taxes. Only the little people pay taxes." A touching sentiment from the New York hotel tycoon widely dubbed the "Queen of Mean" but not one shared by a jury of her peers. In 1989 Helmsley received 16 years in prison for a wide variety of tax offenses resulting in several million dollars owed. And in a fitting bit of chronology, the judge ordered her prison sentence to start on April 15  Tax Day! See the top 10 architectural postponements.